Disclaimer: I received a complimentary entry to the RMS Women’s Run. All opinions are my own. The RMS Women’s Run & Walk was new to me until I had an opportunity to take part in it. 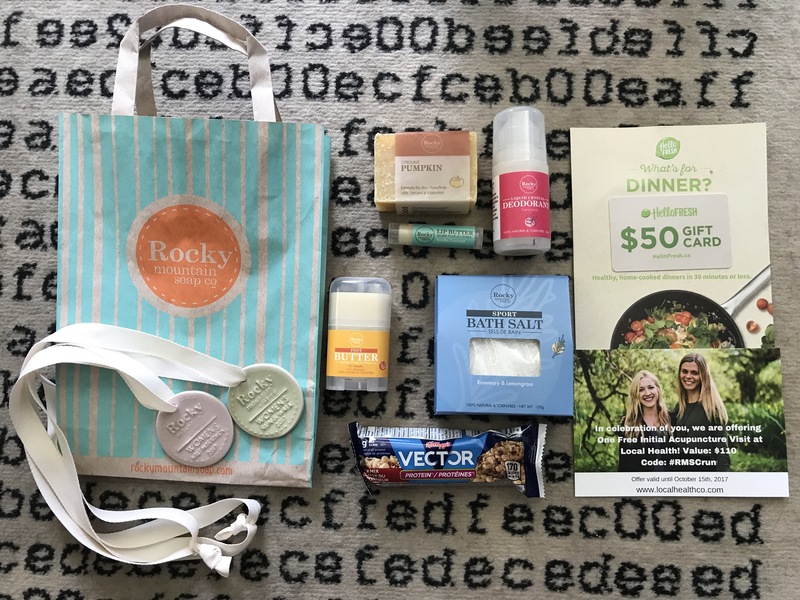 It initially started in Canmore, Alberta by the Rocky Mountain Soap Company. They did so in order to promote a healthy lifestyle, environmental awareness, and fun, inclusive events for women. The local run was at Burnaby Lake. 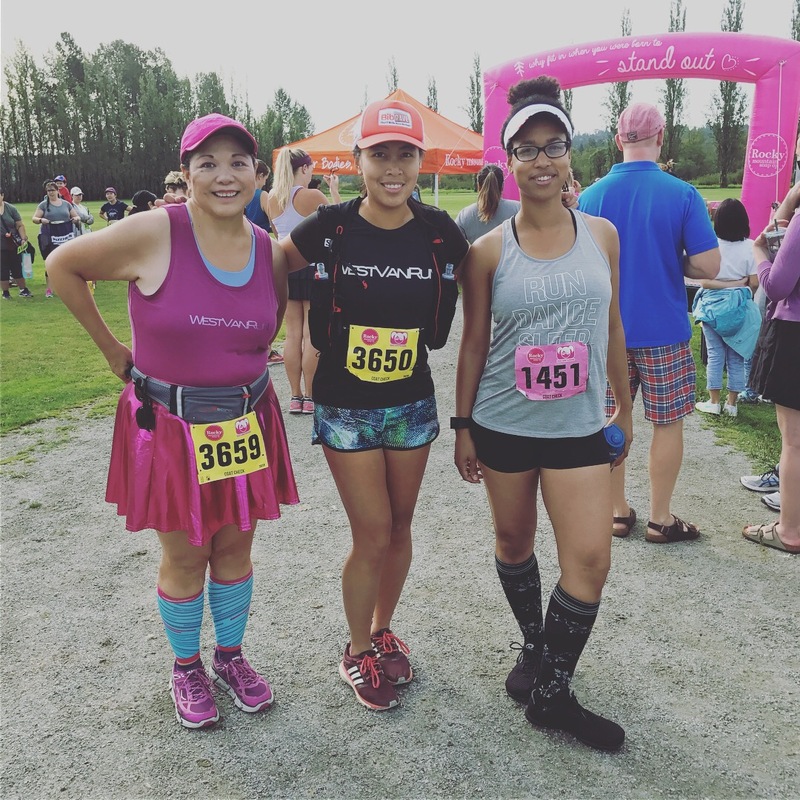 The 5k, 10k and half marathon* distances were all options. Note: Half marathon meant 2 laps of the lake, which was about 20 km and change. Package pickup for the RMS Women’s Run & Walk was convenient for me since it was walking distance from my work. It was near the Rocky Mountain Soap Company store in one of the Bentall buildings. 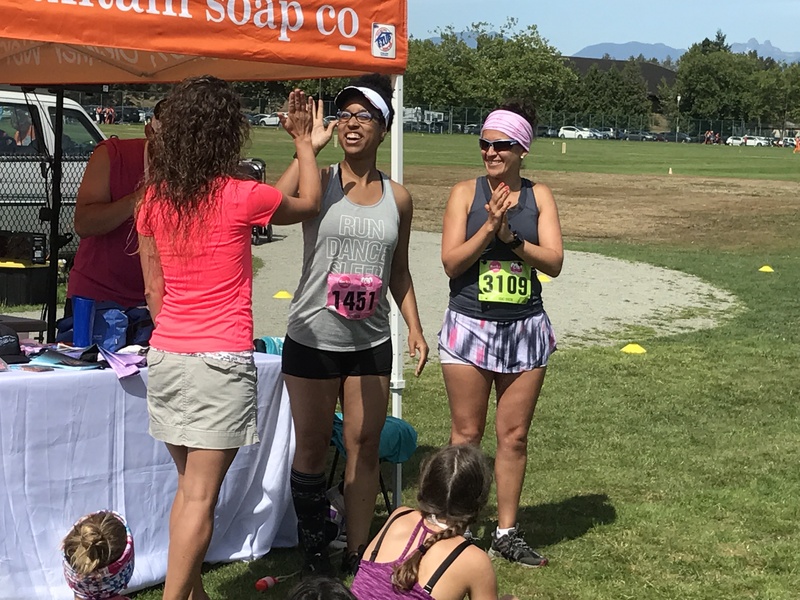 They also had package pickup at 3 other locations in Vancouver and Burnaby leading up to the race, including race day. 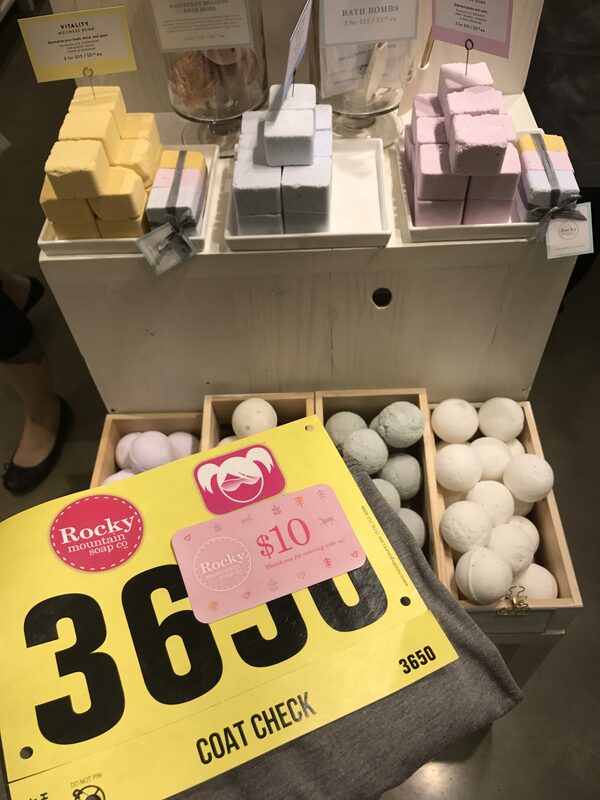 It gave me the chance to visit the store and learn a bit about the products. They make 100% natural bath and body products like soap, bath bombs, deodorant, creams, oils, scrubs, etc. It’s always nice discovering new Canadian products and even better if they are made from all natural ingredients. Toxin-free is their mantra, which is great for everyone. I received my bib with chip and a $10 gift card to the shop. I still haven’t decided what to get with it. You’re on the hard-packed gravel trail at Burnaby Lake the whole time. The 5K is an out and back, clockwise direction. The 10K and Half Marathon courses are run counterclockwise, one loop for the 10K and 2 loops for the half. 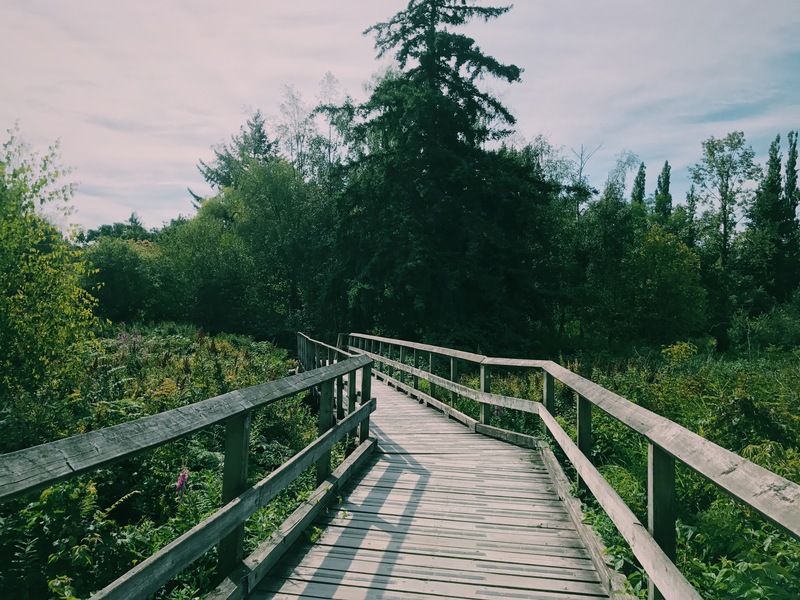 I’ve run Burnaby Lake in the winter and loved it. It was nice to come back and try it again. The course marshals and volunteers were very friendly and helpful, although I was self-supported and didn’t need water. It was a fairly flat, quiet run. If I lived closer I’d be there more often. There were signs telling you where to go, but really, it was self-explanatory. You mostly had to follow the path you’re on. 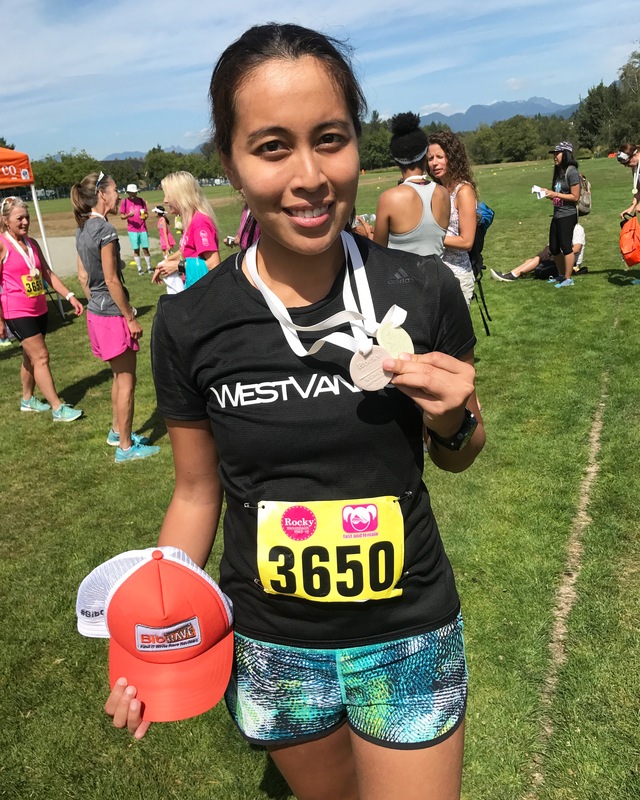 I ran this race with 2 fellow West Van Run Team members: Karin (5K) and Debra (Half). We took a group photo and then Debra and I had to get ready since our race was the first to start. The half marathon had a small field, only 18 people. Maybe I had a chance to podium? I went into this race without expectations. Since I was still marathon training, I really had no idea if I was fresh enough. The weather was gorgeous though, and a bit cooler than usual. I tried to keep up with the leaders but they were going too fast. I couldn’t sustain that pace so I slowed down and ended up running mostly by myself. This course played with my head. The lake seems smaller on the map but a loop of the race is a similar distance to a loop of Stanley Park. Surprisingly, I felt good on the second loop. One person did pass me halfway through the second loop but I didn’t care. My time was already going to be pretty decent. I did notice that one of the last course marshals left their station early. It threw me off a little bit. I just followed the path & kept going. I finished strong with a time of 2:10:39 for a rough distance of 20.2 km. Sometimes I wonder if I would’ve gotten a half marathon PR if the distance was correct. I guess we’ll never know… Another surprise, I actually placed 2nd in my age group! I’ve never hit the podium before so I was pretty stoked to receive a second medal. The medals are stamped ceramic medals. They look like soap! lol They’re so cute. At the finish line, they also had some great finish line food like wraps and bananas plus water and juice. 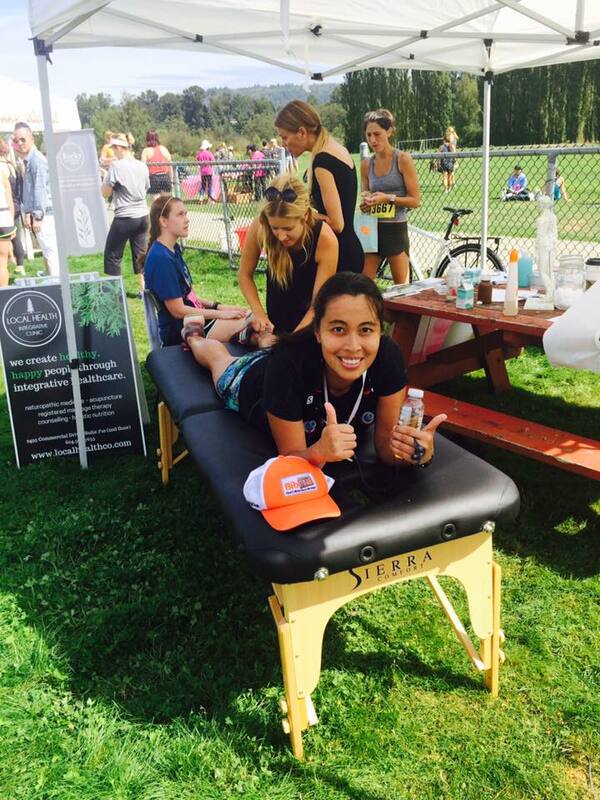 Quick free massages and other treatments by Local Health Integrative Clinic were also available for runners. I tried the cupping massage. It felt a bit uncomfortable at first but soon I got used to it and it felt better. It was a nice little post-run perk. In addition to the above mentioned races, there were also a 500 m and 2 km Fast and Female Girls Run. 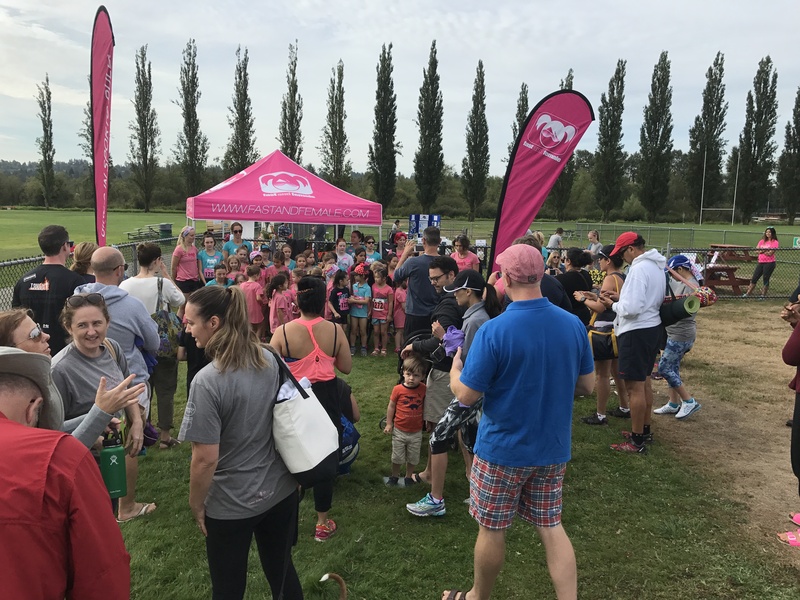 The RMS Women’s Run & Walk supports the Fast and Female charity who, with the help of female Olympians, inspires young women an empowers them through sport. Find out more about this organization here. Yes I would. This was a small race but very fun and lively. The swag bag is hard to beat, they had good finish line food, and the course is beautiful. I love running around Burnaby Lake, it’s so peaceful. My one disappointment was that the half marathon wasn’t a true half marathon. It only measured just above 20 km. Other than that, I recommend this fun run to all my girlfriends.